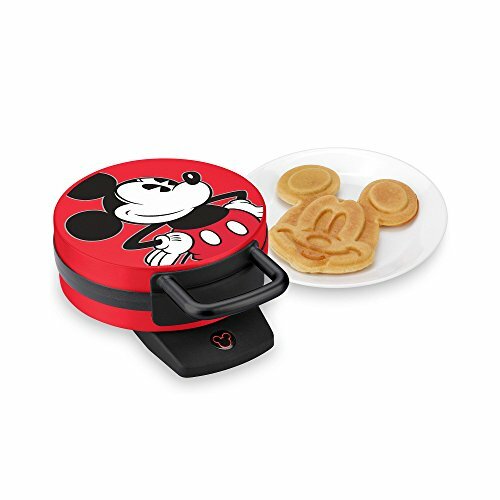 Disney Mickey Mouse Non-Stick Electric Waffle Maker, Red and Black | SleepyChef.com | everything breakfast! 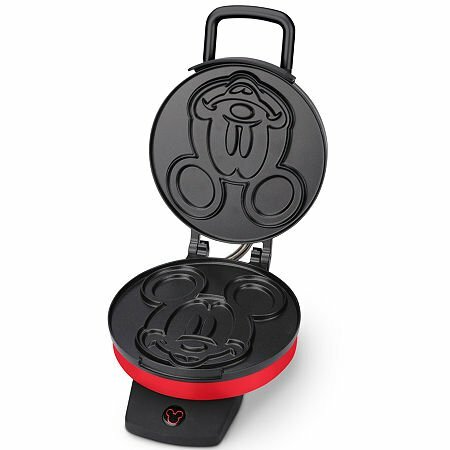 Disney Mickey Mouse Waffle MakerSure to please Disney supporters of all ages!Begin your day with fresh waffles in the shape of lovable animated characters. 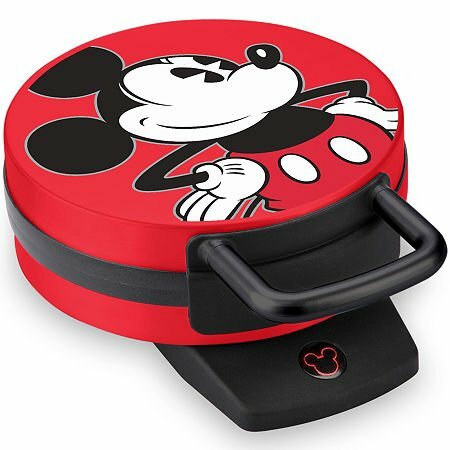 Unit features non-stick cooking plates, electrical power/ready light, non-skid rubber feet, and handy cord wrap.7\" diameter. Start your day with fresh waffles in the shape of lovable animated characters. 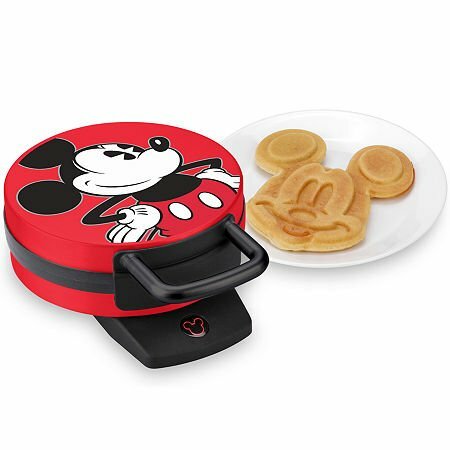 Unit features non-stick cooking plates, power/ready light, non-skid rubber feet, and handy cord wrap.